Mmm chili. I had always been a beans and vegetables chili kind of girl, until I met this recipe. This chili is nothing like the slow cooker chili seasoning packet variety that was a frequent meal when we lived in Baltimore. 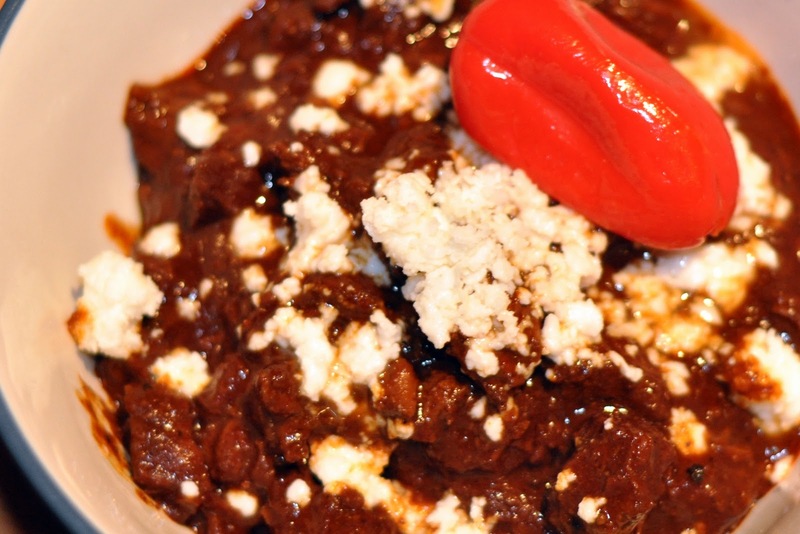 This chili is deep, seductive, warm, and amazingly flavorful. This chili makes me go "mmm chili" whenever I think about it. It's the perfect meal for a Sunday afternoon at home, since you can put it on the stove and go about your other housework. Toast the cumin seeds in a small skillet until fragrant. Grind using a spice grinder or mortar and pestle. Cook the bacon in a large pot or dutch oven. 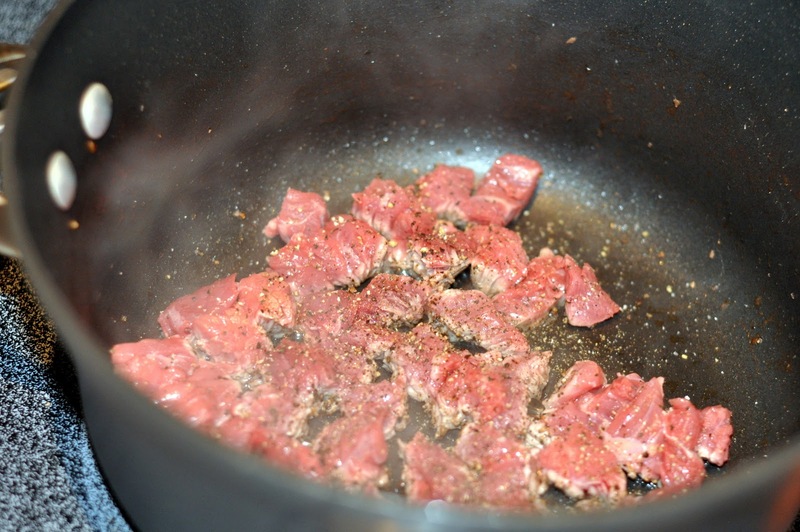 Remove the bacon to a large bowl once cooked, leaving drippings in the pan. Season the beef with salt and pepper. Brown the beef in small batches. 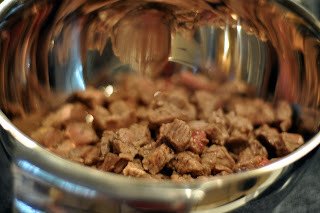 Transfer the beef to the bowl with the bacon once brown. Once all the beef has browned, add the onions to the pot and saute until tender. 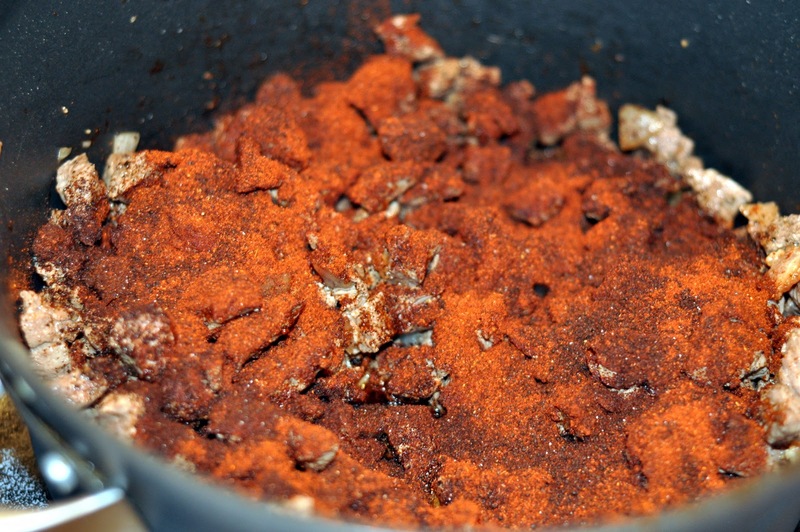 Scrape the bottom of the pot to get the brown bits. Midway through sauteing the onions, add the rye (or other liquor, if using) and saute until the liquid is almost all gone. Add the garlic and stir for a few minutes. 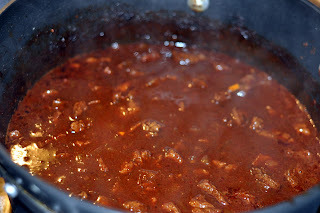 Return the beef and bacon and drippings to the pot. Add the chile powders, mole paste, cumin, oregano, cayenne (if using), and apple cider vinegar. Stir to incorporate. Add the broth (start with 3 cups). Stir, and bring it to a boil. Reduce the heat and simmer for a few hours, tasting after two hours and adding more broth if needed (if the chili gets too thick). 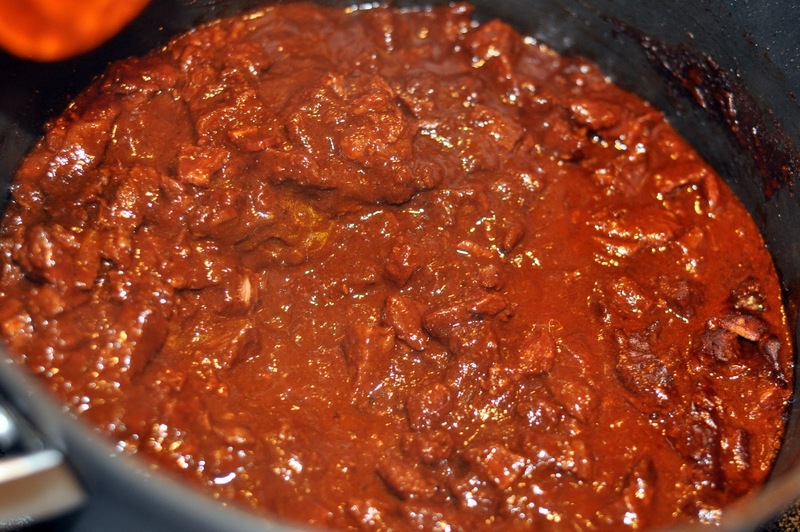 The chili is ready when the meat is very tender and the sauce has thickened. Sometimes this process takes 2 hours, sometimes 3. Stir occasionally, and taste occasionally to adjust seasoning as needed. 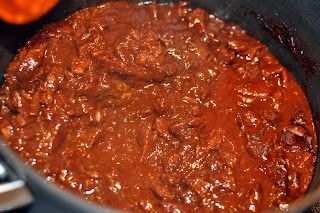 The chili will look like the below picture when it is close to being ready. Serve in bowls with garnishes separate. Garnishes can include black beans, queso fresco or other cheese, sour cream, pickled or fresh jalapeños, cilantro, chopped green or red onion, and anything else you desire. The bowl in the picture has queso fresco and a pickled sweet pepper. Sounds yummy! If I don't use the liquor, should I substitute another liquid, or just do without altogether? Jenny, A little broth will do the trick in place of the liquor. Enjoy!